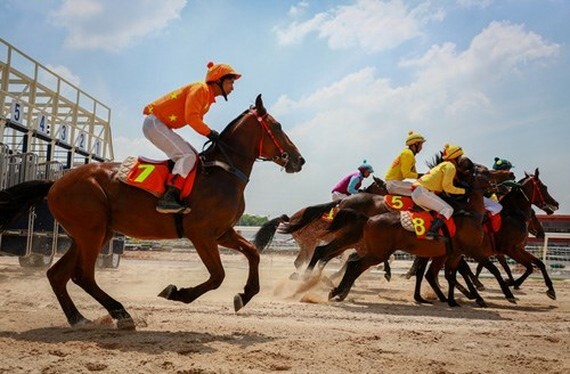 Prime Minister Nguyen Xuan Phuc has approved the addition of the multi-purpose entertainment complex – horse racing course project into Hanoi’s master plan on socio-economic development by 2020, with orientation to 2030. Under Decision 1823/QD-TTg, Hanoi will increase the mobilisation of social investment sources for building sports facilities in combination with high-quality tourism and service activities. The city will study the application of high technology in developing the sports, culture and entertainment sectors. The 420 million USD project will be built on an area of more than 100 hectares in Tan Minh commune, Soc Son district. It will also include a park, tourism and entertainment centres and many other facilities. The project was first put on the table in 1999. It was initially planned to be built in Dai Kim ward of Hoang Mai district and Thanh Liet commune of Thanh Tri district. However, as the legal framework for sports betting and horse racing hadn’t been completed at the time, the foreign partner withdrew from this project in 2005. In 2007, the Hanoitourist Corporation and the Republic of Korea’s Global Consultant Network proposed the project again. In August 2016, they inked a joint venture contract to invest in the project, which is set to meet five-star standards. The project is expected to create jobs for about 1,000 direct labourers and tens of thousands of indirect ones and contribute up to 1.5 trillion VND (64 million USD) to the local budget each year.